Be The First to Review the Rock 'N' Roll Oaxaca! 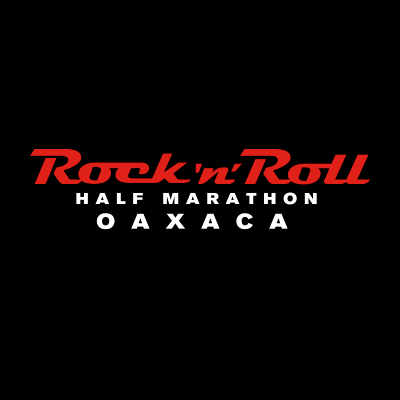 The Rock 'N' Roll Oaxaca is a Running race in Oaxaca, consisting of a Half Marathon, 10K. World Heritage City, called the Green Antequera for its beautiful buildings of green quarry Colonial style. Since ancient times, our capital has been the heart of the meeting of innumerable cultures that exist in force in the state, when the splendor of the cities of Mitla and Monte Alban radiated to the southeast of Mexico. It is a city of noble and friendly people, that has great talents, that invite the traveler, both national and foreign to know and live an experience rich in culture and tradition, and that above all makes them feel at home. Throughout the month of July with the Mondays of the Hill and the Guelaguetza, its sports and folkloric activities such as the choice of the Centeotl Goddess, the parades of the Delegations, the presentation of "Donaji La leyenda", the festivals of the Seven Moles, the Tejate and the Tamal, among many others. Experience the nostalgic joy in the All Saints and Faithful Dead Parties, savoring its rich traditional cuisine of the Day of the Dead whose dishes are ancient family recipes. The warmth of its people and the shelter of its mountains will make you fall in love with this beautiful city. You will always be welcome with your loved ones, come to Oaxaca and feel at home, surrounded by the warmth and joy of its people and the sweet taste of the moments lived. COME AND LIVE THE EXPERIENCE OF OUR TRADITIONS!